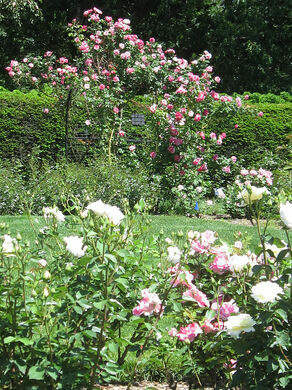 A hidden gem tucked beyond Boston’s downtown parks, the James P. Kelleher Rose Garden dates back to 1931 and features over 1,500 roses behind its tall green yew hedge in the Back Bay Fens. 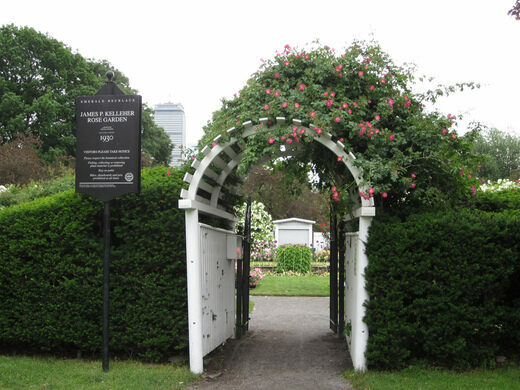 Despite its long and storied history just minutes from Fenway Park, it is largely unknown to tourists and residents and retains a “secret garden” feeling. 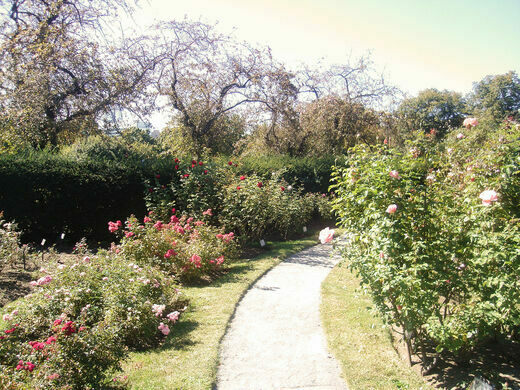 The English-style garden was commissioned by infamous Boston Mayor James Michael Curley and designed by Arthur Shurcliff, a noted Boston landscape architect. Years earlier, Shurcliff had worked under Frederick Law Olmsted, who designed the Fens as well as New York’s Central Park. 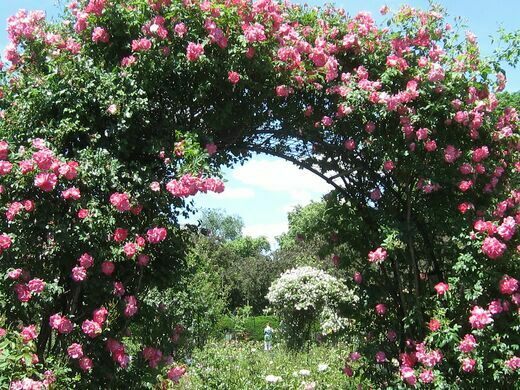 When the garden opened in 1932, it won the Massachusetts Horticultural Society award for excellence, but many Bostonians blasted it as a gaudy intrusion on Olmsted’s understated, wild park design. 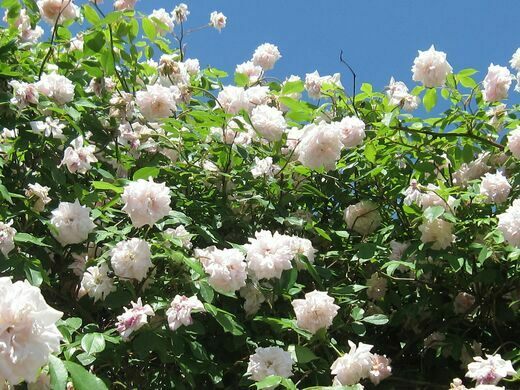 Over the years, sentiments on the garden softened, and it became a Boston fixture. Update September 2018: The garden is currently under construction. The public is not allowed to walk through it, but it can be viewed from outside the barrier. Open from mid-April through October. Street Parking is metered behind the Museum of Fine Arts.